We’re developing the next generation of leaders in order to end homelessness among lesbian, gay, bisexual, transgender, queer, and questioning (LGBTQ) youth. Young Leaders Hone Their Skills. 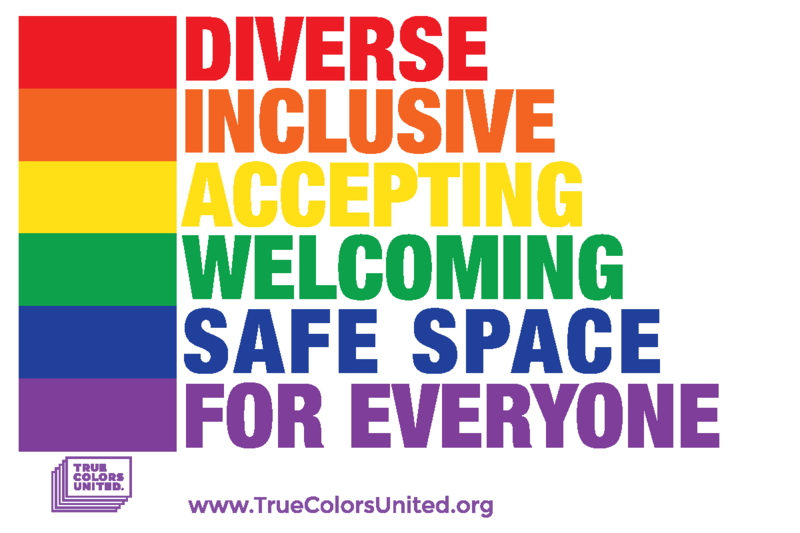 True Colors United knows that authentic youth collaboration is integral to ending LGBTQ youth homelessness. LGBTQ young people with lived experiences of homelessness may not have the opportunity to gain professional experience through traditional means, which includes employment history and education. Through our Fellowship program, True Colors United provides an opportunity for young people to use their lived experience to make an impact on the national movement to end youth homelessness. The goal of the True Colors Fellowship is to provide young people age 18-24 who’ve experienced homelessness with the opportunity to collaborate with adult partners on projects that address youth homelessness. Through our Fellowship program, young people are able to gain professional development skills, work with a national advocacy organization, and attend the True Colors Impact Summit. Our Fellowship also helps ensure that the work of True Colors United is informed by young people themselves. "I’m learning how to strengthen my own brand but also add a new leadership badge in the fight to end LGBTQ youth homelessness!" Authentic Youth Collaboration In Practice. Each fellow is paired with a True Colors Fund staff member for the duration of the six month Fellowship. Together, they work on a project that contributes to a more inclusive world for LGBTQ youth. Throughout the experience, True Colors Fellows make lasting professional connections, gain hands-on organizing experience, and build their leadership skills. Past projects have included collaborating on a mobile app and API, conducting research for national reports, and co-producing the True Colors Impact Summit! Our Advocacy Fellowship gives one young person the opportunity to act as a national and state representative as it pertains to state administrative education, public policy, advocacy, and grassroots movement building. Our Innovation Fellowship provides a young person the opportunity to participate in the creation of a technology solution that addresses LGBTQ homelessness. The Fellow gains experience researching and evaluating existing technologies, developing user stories, and collaborating with other technology professionals across the country. Our Production Fellowship provides a young person the opportunity to co-coordinate an event dedicated to the issues surrounding LGBTQ youth homelessness. This True Fellow gains valuable experience in large-scale event production and peer collaboration. Our Research Fellowship provides one young person the opportunity to update an educational resource. This Fellowship requires community involvement at both the national and local levels, tapping into experts working on issues that affect youth homelessness through an LGBTQ lens. Interested in applying for a True Colors Fellowship? "As a youth, I realize and understand ‘I am the future.’ Therefore, if I want to see change, I have to step up and grab the torch." We’ve Mailed Our True Inclusion Toolboxes to Service Providers Across the U.S.